It is a temple of the Soto sect located in Iwashiro area of Nihonmatsu. 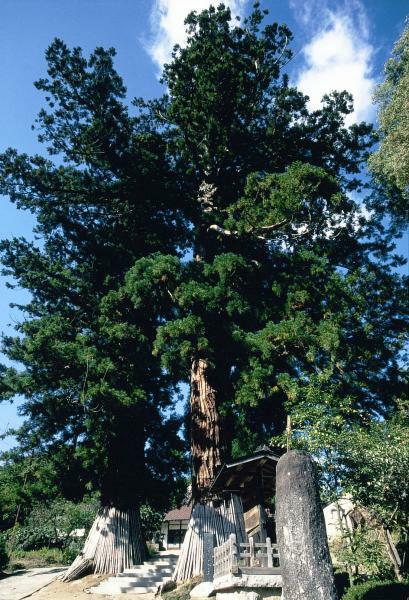 It is famous for its Meoto (husband and wife) cedars and was designated as Fukushima prefecture natural treasure in 1953 and as a cultural property in Fukushima prefecture in 1983. It is 600 years old and it is 46.9 m tall. It is rare for two big trees to stand side by side and their appearance is compared to a married couple. Within the precincts of the temple, Jizo (the Guardian Deity of Travelers and Children) are lined in a row and there are small Bodhi trees and sal trees allowing one to taste the atmosphere of a quiet temple.